New York, June 29, 2018—Visible Alpha today announced Emma Margetts has won Women in Banking and Finance’s Young Professional Award at the 21st WIBF Awards for Achievement in London. The award celebrates a woman aged 35 or younger who is making an exceptional impact within an organization. The recipient helps shape her organization, not only in terms of business success, but also in the example she provides to colleagues. "I'm delighted to receive such an honor and to be recognized for my work at Visible Alpha," said Ms. Margetts. "It’s empowering to not let stereotypes hold you back. My best advice for women is to spend your life doing something you're passionate about, regardless of how male-dominated the field may be." Ms. Margetts co-founded Alpha Exchange in 2016 and successfully sold the company to Visible Alpha in November of 2017 where she has continued to be the embodiment of innovation. This win comes on the heels of a year of momentum for Ms. Margetts, who has recently taken on a new role as Visible Alpha’s Head of European Operations. In this expanded role, Ms. Margetts will further enhance Visible Alpha’s strategy for continued growth and support of Visible Alpha’s European client base. "Emma is a leader who is able to execute on a vision. As her recent track record illustrates, she can see a problem and find a solution that would elude others,” commented Scott Rosen, CEO of Visible Alpha. "She knows that success requires preparation, focus and drive. We are delighted that her work is being recognized and thrilled to have her on our team." In addition to launching Alpha Exchange with co-founders Scott Winship and Alex Santos, Ms. Margetts started The Business Learning Network, the first women’s accelerator for female entrepreneurs in the townships of South Africa, in 2008; advises NGOs and startups across Africa; and is on the steering committee for Harambe Catalyst Fund, an African venture fund. Emma previously worked in asset management at Investec Asset Management in London and as an analyst at Afriforesight, a commodities research provider. Visible Alpha is transforming the way Wall Street firms collaborate on research, financial models and corporate access events by providing breakthrough tools for discovery, analysis and valuation. With more than 400 employees globally, the rapidly growing company combines advanced data technology, a secure distribution network and sophisticated analytical tools to drive efficiencies and transparency into the research process while also enabling firms to generate alpha in new and differentiated ways. Visible Alpha is backed by the world’s leading investment banks. 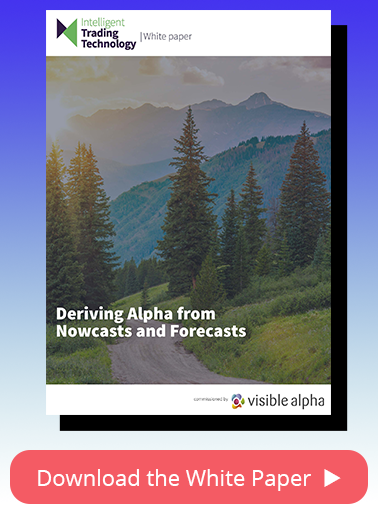 For more information on Visible Alpha, please visit www.visiblealpha.com.